From 1975 – 1979, the Khmer Rouge Regime, led by Pol Pot, evacuated the urban centers and forced the entire population to work on rural work projects. The Khmer Rouge took the lives of nearly 2 million people. 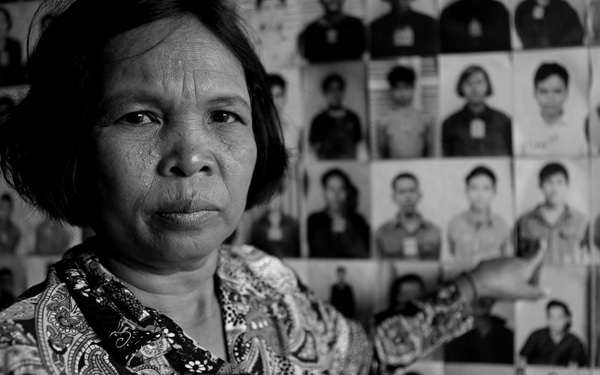 The woman pictured above was visiting Tuol Sleng, an infamous torture center, for the first time when she accidentally came upon a photo of her long-lost brother. Thousands of Cambodians today are still longing for their loved ones and recovering from the psychological scars of that period. Cambodia has a population of 14.3 million people. In 2011, Cambodia’s GDP quadrupled, increasing from $216 per capita in 1992 to $909 per capita in 2011. From 1994 to 2011, Cambodia experienced an average growth rate of 7.7 percent. Although the rate of poverty continues to decline in Cambodia, rural poverty remains obstinately high at 40 per cent. Eighty-five per cent of the population is in the informal economy, mostly in agriculture, forestry, and fishing and in small and micro-enterprises. The formal sectors of garments and tourism are the main engines of growth, with garment manufacturing accounting for 85 per cent of Cambodia’s exports and employing some 350,000 workers, mostly women. The total economic value of the Mekong’s fisheries is between $5.6 billion and $9.4 billion a year, contributing significantly to the region’s economy. However, hydropower projects threaten to jeopardize this fragile ecosystem and, subsequently, the livelihoods of millions of people. Ultimately, dam building places the river’s fisheries in danger. 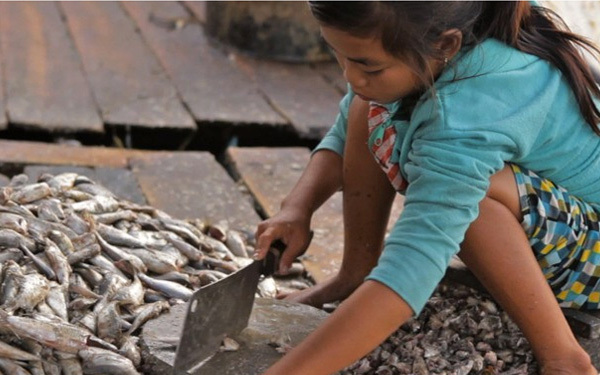 About 35% of the Mekong’s commercial fish catch migrate long distances, which is critical to their life cycle. Dams block such migrations, leading to a reduction in fish stocks. 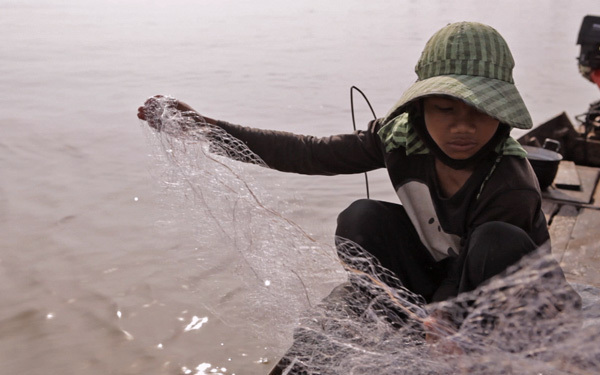 The consequence is huge for Laos and Cambodia, where fishery and agricultural production from the Mekong River accounts for about 50% of their respective gross domestic products. The garment industry continues to be a large contributor of exports and employment for Cambodia’s economy. It represents approximately 90% of total export value and employs over 300,000 workers. 90% are woman. A garment factory workers makes on average 61 USD a month and 100 USD a month if she works over time. The Cambodian economy is predominantly agrarian, with agriculture employing 73 percent of its population (Asian Migrant Centre, 2002). 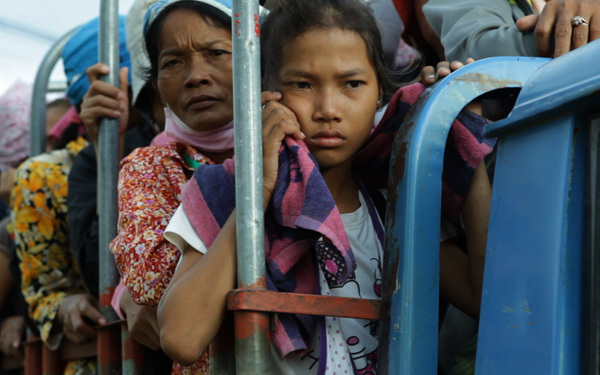 Chronic poverty, landlessness, and natural disasters such as droughts and floods are compelling many rural Cambodians to migrate to other rural areas, the urban areas or neighbouring countries to seek work. Other push factors include debts payments and a lack of viable livelihood options. The pull factors are the high demand for less skilled labourers in 3D jobs (dangerous, demanding, dirty) in countries such as Thailand, Malaysia, South Korea and Saudi Arabia, the prospect of paid employment and a better life. Indigenous minority people in Cambodia are estimated to constitute 190,000 people, equivalent to 1.4% of the total population and have traditionally managed nearly 4 millions hectares of remote evergreen and dry deciduous forests. Economic Lands Concessions (ELCs) are viewed to be the biggest threat to the livelihoods of indigenous communities. By the end of 2010, approximately 1.7 million hectares of land has been formally granted as ELCs for large scale agro-industry purposes by the Ministry of Agriculture, Forestry and Fisheries (MAFF), which created multiple conflicts with communities, in particularly the indigenous peoples. Cambodia is in the grips of a prolonged land grabbing crisis, a slow-motion calamity that has seen over 2.1 million hectares of land – roughly the total area of Wales – transferred mostly from subsistence farmers into the hands of industrial agriculture firms. An estimated 400,000 people have been affected by land disputes since 2003, and government violence against land-grabbing victims is at an all-time high (the most shocking example coming when authorities shot dead a 14-year-old girl during an eviction). This large-scale transfer of land is facilitated by Cambodia’s land concession scheme, in which the government leases – private state land – to companies that agree to farm it. Occupants rarely receive proper compensation, and many receive no compensation at all. This interactive timeline map depicts land concessions granted by the Cambodian government since 1993. Over 2.1 million hectares have been leased to private entities.